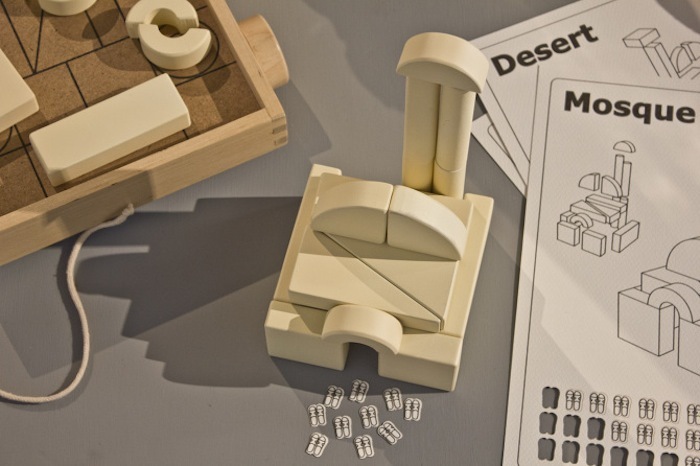 This year's edition of Design Days Dubai didn't impress me as much as it did in the last two years. The entire space this year felt particularly dim compared to the past two editions, and I didn't see many objects that I loved or wanted to play with. The last two editions always had at least one or two big fun pieces you could interact with (you can see some examples in my 2012 and 2013 review) which I found lacking this year. But there was one group of work that I fell in love with, head over heels. 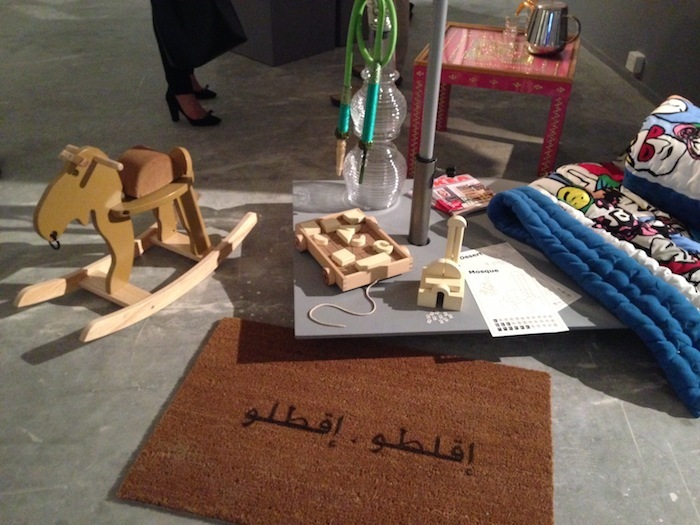 Paolo Cardini from VCUQatar* exhibited his 'Deglobalizer' series of repurposed objects from Ikea, to have a Middle Eastern/Gulf aesthetic. 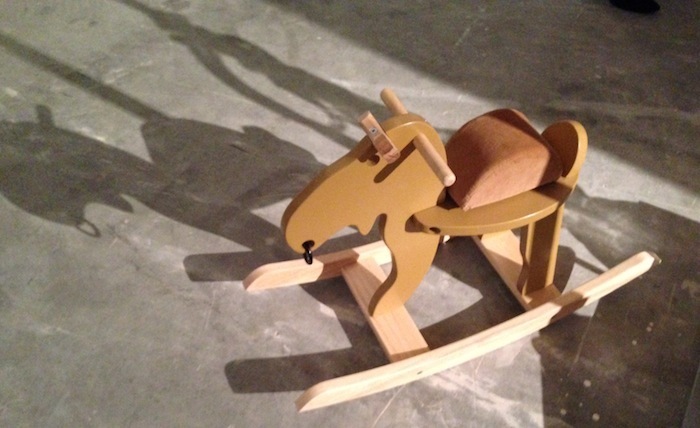 So for example, a reindeer rocking chair for children has been "Ikea-hacked" to look like a camel riding chair, or a welcome mat written in a local language/dialect - which would make more sense to people living in this region. I loved the sensibility and quirkiness of the objects and thought this actually makes a lot of sense and wondered why hasn't a project like this happened before. During the brief chat I had with Paolo Cardini he said it was cheaper for him to buy his 'raw' materials from Ikea instead of buying them from suppliers who produce the raw materials. Reminded me of Ikea Hackers which I learned about when I visited The Future is Here exhibition at the Design Museum in London last year. 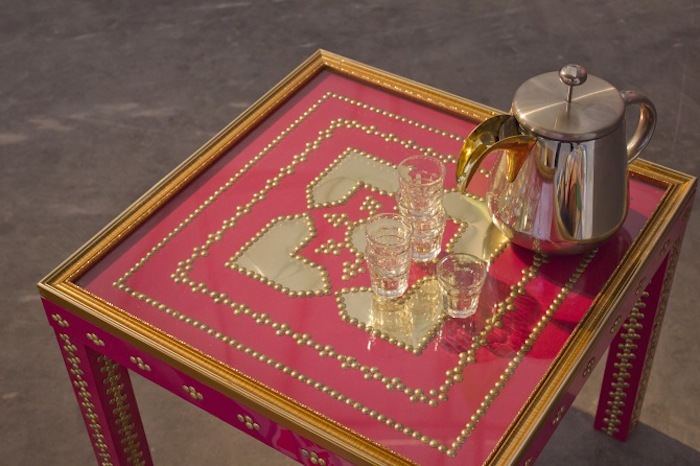 Deglobalizer is part of an ongoing research project about objects, global taste and local traditions. 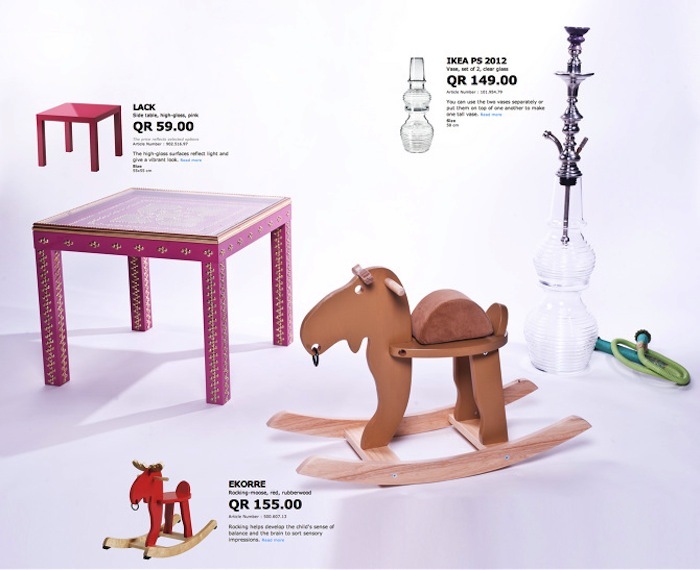 In 2012 Ikea opened its doors in Qatar and immediately created a sort of friction or misalignment between the Swedish brand and the Doha environment. Supercars parked outside of the corporate blue and yellow building, a local disinclination for DIY, and the colorful, sparkling North European catalogue, all stand in contrast to the country’s efforts in preserving a sense of heritage and Middle Eastern aesthetic. * VCUQatar is a Doha based center of excellence for education and research in art and design. Through its programs, the university develops individual capacity to lead innovations in the creative and cultural professions in Qatar and the region.